Congress is finally serious about working towards comprehensive tax reform. Something that hasn’t been done since the Regan years. This is great news! There’s just one problem… The current draft being floated contains a proposal to alter the IRS Code to tax advertising for the first time since the income tax was created in 1913. Currently, businesses are allowed to deduct advertising expenditures just as they do other necessary business expenses, such as wages and rent. 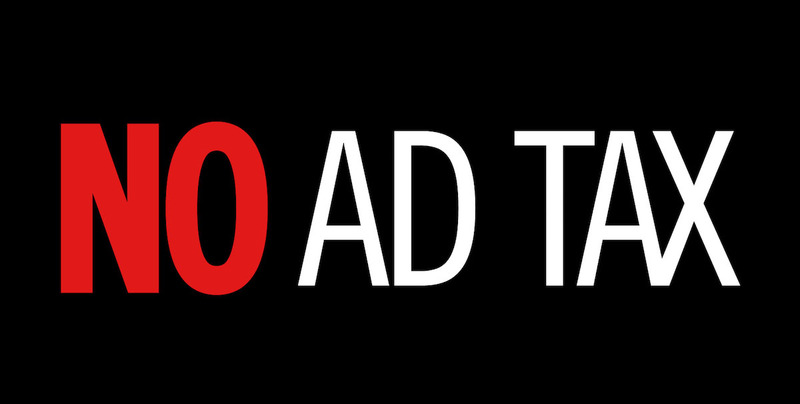 The tax reform draft proposes to allow only 50 percent of advertising expenses to be deducted, while the rest would be amortized over 10 years — a move that would complicate tax compliance rather than simplify it. It is estimated that over a decade this proposal would generate $169 billion in additional federal revenue, money drained needlessly from the economy. Americans for Tax Reform — who are all for tax reform — have come out strongly against this, saying any revenue generated would be overshadowed by its negative effects. The group’s president, Grover Norquist, penned a letter to Congress earlier this year saying that not only should ads not be taxed, but that implementation of full business expensing would grow the GDP 5.4 percent and create a million jobs. “Implementing full business expensing is a vital step toward creating a pro-growth tax code. At the same time, taking the existing treatment of advertising costs in the other direction by forcing it to be depreciated over multiple years makes no economic sense and undermines both the economic gains and the rationale for moving to full business expensing,” Norquist wrote. That’s a lot of money and a lot of jobs! Fortunately, some in Congress are paying attention to the warnings being offered by those who represent the media and the advertisers who would be hurt by the advertising tax plan. In April, group of 124 bipartisan members of the House signed a letter addressed to Speaker Paul Ryan and Minority Leader Pelosi warning of the problems the ad tax would create. “Advertising has been accorded the same treatment as all other regularly occurring business expenses, such as employee wages, rent, utilities and office supplies, throughout the 114-year life of the tax code. Any measure that would tax advertising — and therefore would make it more expensive — cannot be justified as a matter of tax or economic policy.” the letter states. it can even be argued that this proposal could be considered a violation of the First Amendment. After all, the reason commercial advertising has been fully deductible since the income tax’s beginning in 1913 is because Congress has known that it can’t regulate free, commercial speech by making it a dollars and cents game for businesses (not constitutionally anyway). In fact, you could say the Revolutionary War was in part fueled by this kind of issue (1765 Stamp Act, anyone?). The Stamp Act imposed an across-the-board flat-tax on advertising. It levied a consistent tax per ad no matter what it was or where it was being printed. Mob violence was triggered throughout the colonies. The British government repealed it a year later to help dampen the violence, but the damage had already been done. Since its beginning, the First Amendment has protected advertising as a form of free speech, which goes hand in hand with our country’s rich entrepreneurial spirit. Businesses must advertise to succeed. This is a fact. If this bill is passed, this Congress would go down in history (negatively) as the first regulate our First Amendment right in such a way as to extort more from the already burdened American businesses.